Mainland China’s first W Hotel, W Guangzhou, has announced a partnership with Private Flight to provide the hotel’s five-star cuisine for guests flying in and out of Guangzhou. Already a favorite destination in Guangzhou since opening this past Spring, with exclusive in-flight cuisine for its jet-setting guests, W Guangzhou is literally elevating the guest experience to new heights. “I am delighted to offer a little bit of W up in the air to our guests traveling by private jet,” said Garth Welsh, W’s Director of Kitchens. 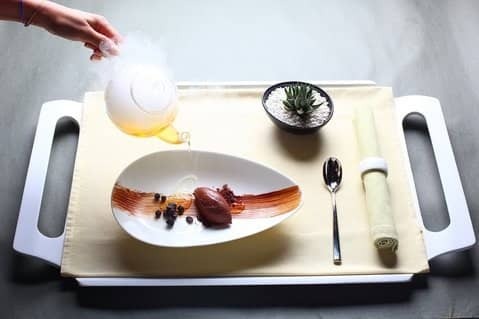 “Our partnership with Private Flight offers our well-heeled and jet-setting guests a fantastic opportunity to enrich their experience with the creative five-star cuisine we offer at W Guangzhou. Following its grand opening in June, W Guangzhou has quickly established itself as a dynamic hub redefining the scene for this rapidly evolving city. With destination venues and restaurants and signature Happenings that fuse together innovations in fashion, design and cuisine, W Guangzhou is Guangzhou’s new hotspot for style connoisseurs and hipsters. The innovative partnership with Private Flight will extend the W experience into the air. Private Flight gives its VIP private jet clients access to a global network of premium food and beverage providers in order to make the inflight dining experience personal, exceptional and memorable for each passenger. Simply contact Private Flight ahead of their flight to order from a custom menu. W Guangzhou will make its five-star In Room Dining menu available for guests flying in and out of Guangzhou. 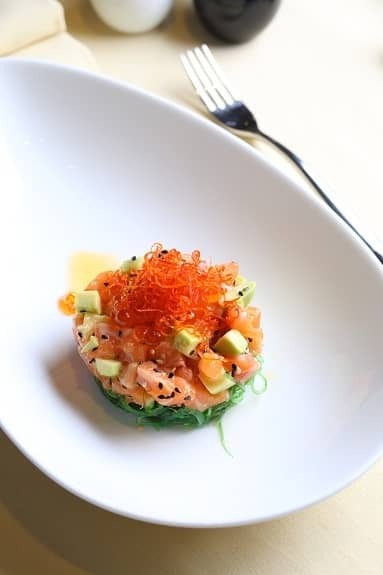 Examples of menu items include diced raw salmon with avocado, seaweed and sesame dressing and bitter valrhona chocolate with chilled orange blossom oolong tea and semi-dried blueberries.